It is rare enough to have 1 family member offered a full athletic scholarship to a university but Collin Larsen is about to embark on a high school football path paved by his three older brothers who made that dream a reality. 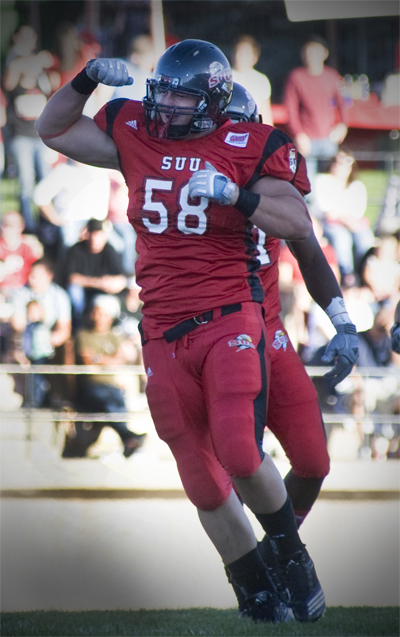 Collins oldest brother Cody recently graduated from SUU and signed as a free agent with the Baltimore Ravens. Tyler Larsen, Collins 2nd oldest brother, will return for his senior year at Utah State ranked as one of the best centers in college football after a record season with USU. Zach, Collin's closest brother, is following in Cody's footsteps by accepting a full athletic scholarship from Southern Utah after coming of a state championship season with Jordan High. 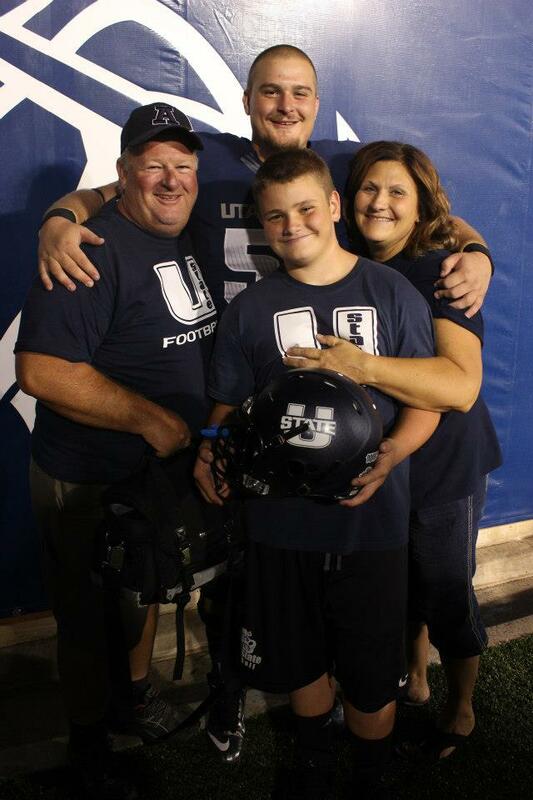 Zach will start with SUU when returning from an LDS Mission to Finland in 2015. 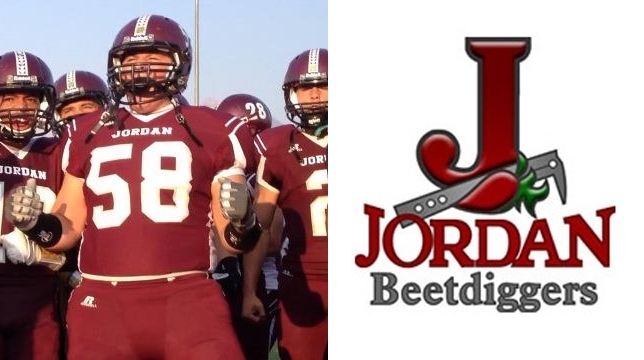 With a family legacy like the one laid before him, Collin knows all eyes will be on him as he enters the JHS football program. Diggers to a state championship in 2012. For some the weight of such a legacy would be a distraction but to a Larsen, the competitive nature fuels the fire, each brother pushing to outdo the other. With the last Larsen brother coming out of the gate, it will be an exciting ride and a loud section cheering for the Diggers come this fall.